As Fresno County’s “poundmaster,” it is our duty to provide for the public’s safety by impounding animals identified as dangerous, providing safe quarantine services, and assisting with animal-related criminal investigations. To report a dangerous or vicious animal, call our Animal Control Dispatch at 559-600-PETS (Monday - Saturday, 8:00a.m. – 5:00p.m.) or Fresno County Sheriff Dispatch at 559-488-3111 (after hours and on Sundays and holidays). To purchase or renew a license for your dog, visit the County's Rabies and Animal Control page or call us at 599-600-PETS. Applications and fees can be mailed to FHAS 760 W Nielsen Ave Fresno CA 93706 or brought to the County shelter in person. Proof of current rabies vaccination is required for all licenses. County licenses are only $4.00 for dogs that are spayed/neutered (with a veterinarian's certificate), and $39.00 for unaltered dogs. NOTE: Under Ordinance Code 9.04.047, “No person shall sell or give away any dog or cat in any public place or in front of any business not owned by him or her or at any swap meet.” In addition, under 9.04.045 a current unaltered dog license must be prominently displayed in any advertisement for the sale of puppies. Puppies must be at least 8 weeks old before transfer, and only one litter is permitted per year. Sellers are required to submit to F.H.A.S. the names and contact information of the new owners, and must provide written licensing information with each sale. To report violations of these ordinances, submit an online form or call during business hours. Fresno Humane Animal Services is the designated holding facility for stray dogs and sick/injured stray cats from the unincorporated Fresno County area. Stray animals can be brought to our facility at 760 W. Nielsen Avenue in Fresno during regular shelter hours. To request assistance with a stray animal, please call during business hours. We are not mandated to take in owner surrenders, but may be able to assist with rehoming pets on a case-by-case basis. If you need to surrender your dog or cat, please visit our Local Rescues page for more information and links. NOTE: If you’ve found a dog or cat, we encourage you to make an attempt to find its owner prior to turning it in to the shelter. See our Lost & Found Pets page for a list of things to do and some helpful links! If you’ve lost a pet, check here! Our goal is to reunite lost animals with their families as quickly as possible. Lost dogs are posted on our website and Facebook page daily, but it’s always a good idea to visit the local shelters in person when searching for your pet. For a list of stray holding facilities and steps you can take to expand your search, visit our Lost & Found Pets page. It is important that owners begin their search IMMEDIATELY! Stray animals are typically held in the shelters for 72 hours prior to being made available for adoption or rescue, and animals with severe medical or behavioral issues may be euthanized if these placement options aren’t available. IMPORTANT: Fresno Humane Animal Services is contracted to serve the stray animals of unincorporated Fresno COUNTY – If you find an animal within the CITY limits, please contact the CCSPCA at 559-233-7722 (103 S. Hughes Avenue, Fresno). Healthy dogs will be made available to the public for adoption after serving a state-mandated stray hold. Adoptable pets can be viewed on our Adopt page, as well as Petfinder, Adopt-a-Pet, and Petango. To apply for a specific animal, fill out a Pet Request form or visit the F.H.A.S. shelter Monday – Saturday, 10:00a.m. – 4:00p.m. *Dogs residing within the County jurisdiction are required to be licensed for an additional $4.00 upon adoption. Fresno’s homeless pet population has reached critical levels and the Valley’s public shelters are tragically overcrowded. 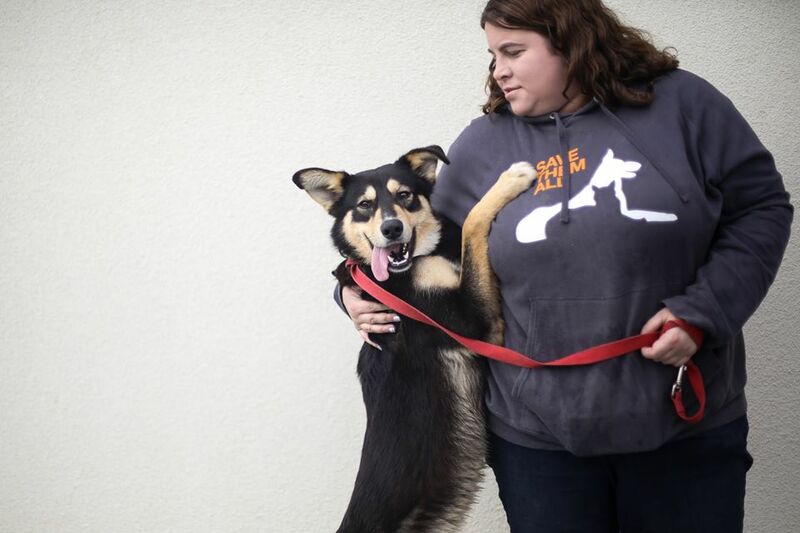 Fresno Humane Animal Services is committed to playing a key role in the safety net for homeless animals by coordinating with reputable 501(c)3 animal rescues across the state and beyond. Each month, hundreds of animals are transferred out of the shelter and into the safety of private rescue partners. These independent rescues are able to give more individual care and attention to animals in need, expand their opportunities for re-homing, and clear the way for other stray pets entering our shelter system. We encourage the public to support these local animal rescues through adoption, donation, and volunteer work. Encourage community involvement in the stewardship of Fresno County’s homeless pets.